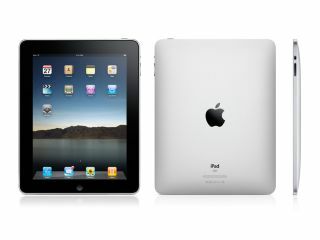 Apple could be set to re-release the iPad before Christmas this year, offering an integrated SIM and a lower price. T3 has spoken to 'a reliable source close to a major UK network', which confirmed a newer version of the iPad would be sold with an integrated SIM and data rolled into the cost of the device. The same method is used on the 3G version of the Amazon Kindle, allowing users to not worry about a data tariff after purchasing the iPad. However, it's not yet known what kind of data allowance will be offered, as the Kindle's data consumption is relatively low compared to that of the iPad. It will need to be fairly high, so it will be interesting to see what price/allowances are offered if the new version of the iPad launches. It would be an unexpected move for Apple to launch a new version of the iPad this close to Christmas, although if the specs are relatively unchanged then it could be a decent standalone gift. But given the sheer power of Apple's marketing machine, wouldn't it have already launched such a thing as many people (Ma Radar included) have already cracked on with Christmas shopping.